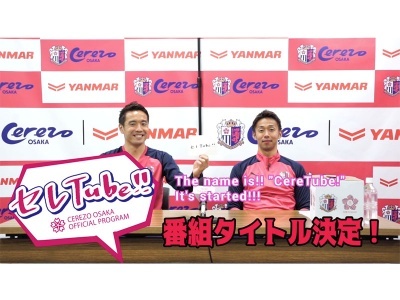 Following his August 15 unveiling in downtown Osaka, newly-arrived Cerezo Osaka striker and former Germany international Cacau spoke with Goal about his mission to propel the team from 15th place in the J-League standings. The Brazilian-born Cacau is no stranger to relegation dogfights after 11 Bundesliga seasons with Stuttgart, and he readily declared his motivation to use that experience to rescue his new club. Cesare Polenghi: How old were you when you came to Germany? Cacau: It was March 2000, so I was 19 years old. Polenghi: You were still a Brazilian at the time, and hadn't turned pro before going to a new continent. After 14 years, you've arrived at another new continent. How do you compare yourself to when you first traveled to Germany? Cacau: Thinking back, it was very difficult in the beginning. But that improved with time. The difference today is that I have my family here. Their presence has helped me to take on this new challenge. Polenghi: You were smiling throughout today's press conference and looked very positive. How would you describe your personality? Cacau: You could say that my smile is my trademark, but as a matter of fact I tend to be a bit of a shut-in sometimes; I'll step back and assess the situation and be a listener. But I understood that I had to reach out and communicate, so I worked on improving that. On the pitch I'm very strong-willed and can be extremely passionate. That's one of my traits. Polenghi: There are many Japanese players in the Bundesliga. What's your impression of them, as players and as Japanese people? Cacau: They have very good technique, and they don't give up whenthey'replaying. Especially Gotoku Sakai; I played against him frequently in practice, and just when I thought I'd gotten past him he'd get his foot out and stop me. That lack of surrendering, combined with high technical abilities, that's my impression of Japanese players. In terms of personality and character, there were a lot of interesting, cheerful players. They like to chat, make jokes, poke fun. That image was very strong. Polenghi: What's your image of Japan like? Cacau: Before coming here my impression was that Japan is very organised, and the streets are clean because people don't litter. I thought everyone had good manners and that the school systems were good. Since arriving I've been surprised at how Japan has exceeded those expectations, it's really incredible. Polenghi: What do you think about the J-League? What are you expecting? Cacau: I recognise that the technical level is high, and so is the level of competition. It's impossible to predict which team will win the league, and really any team is capable of doing so. There isn't that much of a gap between clubs. I'm really happy to play in a league with such talent and competitiveness. Polenghi: I want to ask you about the relegation battle. You've experienced this before at Stuttgart, but what will you bring to Cerezo from that? Cacau: The main thing I want to tell [my new Cerezo team-mates] is that the team needs to be united. If one or two players only do what they want to do, winning through team effort is impossible. In order to get out of this situation each and every player needs to combine their strength and move toward one objective. It's important that everyone plays with the same attitude. That's what I experienced [at Stuttgart], and I think I can apply that to Cerezo as well. Polenghi: What are your goals in terms of playing in Japan? Cacau: Personally, I want to contribute as much as I can to the team. Of course Iwant to score goals, but I also want to create a lot of passes. But first as a player in this club, I have to dedicate all of my strength to contributing to the team. That's the most important thing right now. Polenghi: How did your wife and children react when said you wanted to go to Japan? Cacau: When I first got the offer I came to Japan and looked at the neighbourhood we'd live in and where my children would go to school, and my impression was very positive. I told my family about what I saw, and when they looked at the neighbourhood online they agreed that it'd be a very good place to live. 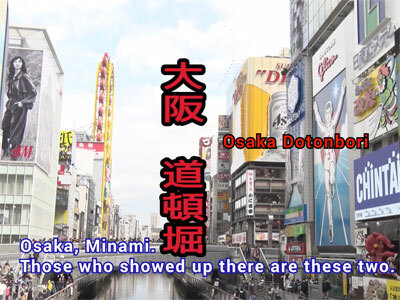 And, of course, I wanted the chance to come to Japan and play here. We agreed, as a family, that it would be a good idea. Polenghi: Germany played Brazil in the 2014 World Cup. Which team did you support? Cacau: My children were born in Germany so we supported them from the beginning, but if I recall correctly they were the only ones who were happy the result (laughs). Polenghi: Thank you for your time today! Cacau: Actually, can I ask you a question? How long does it take to remember Japanese? Polenghi: If you work hard you can speak it in a year. Speaking isn't that difficult. Japanese people are very kind, so if you want to learn then everyone will help you. I think you should be able to speak a lot after one year, so next year let's do the interview in Japanese! Source: "Cacau: I'll give all my strength to Cerezo's relegation fight"